This is the first of what we anticipate will be frequent updates from your bargaining team. We are privileged to represent most of the faculty of Oregon State at the bargaining table. We will strive to keep you updated on our efforts without overwhelming you with information. We appreciate all feedback. On Monday, we met with the administration’s bargaining team to exchange ground rules proposals. They are represented by Assistant Labor Relations Director Christine Meadows, Director of Budget and Fiscal Planning Sherm Bloomer, Employee and Labor Relations Manager Viki Dimick Jackson, and Director of the School of Writing, Literature, and Film Peter Betjemann. They will be joined at the table by the Assistant Provost for Academic Employee and Labor Relations, a recently created position for which they are still in the process of hiring. inclusive process. They responded with concerns that having people “come and go” during bargaining would make our sessions less productive. While our conversations remained friendly and collegial, we were unable to resolve our differences on this critical point. The need for more transparency at Oregon State University was one of the main reasons so many faculty supported the formation of our union. Transparency is one of the planks of our bargaining platform. 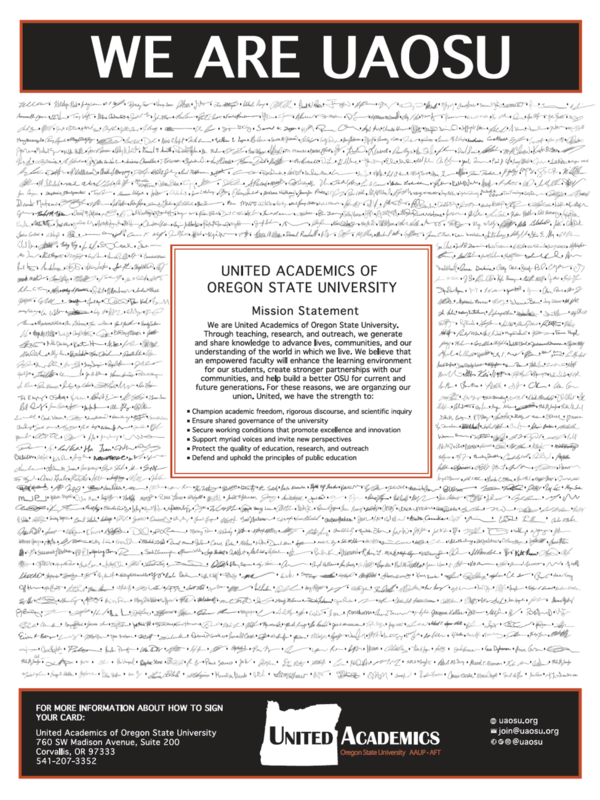 Faculty have made it clear that decision-making at OSU has been too opaque for too long. We cannot see how closing bargaining sessions to the faculty and campus community could be a path to resolving this problem. We have agreed to meet with the administration team again to take another shot at resolving our differences on this important issue. We will keep you informed about our progress.